Business InsiderCristina Balan posing with the prototype of an electrochromatic windshield she designed and showed to Elon Musk in 2014. At a 2014 meeting, Balan and Tesla’s interior-design team voiced concerns about the quality and safety of some of Tesla’s parts. She claims that these concerns were ignored by Tesla and that she was then pushed out of the company. Business Insider reviewed emails, testimonies, text messages, and other information from Balan’s tangle with Tesla. 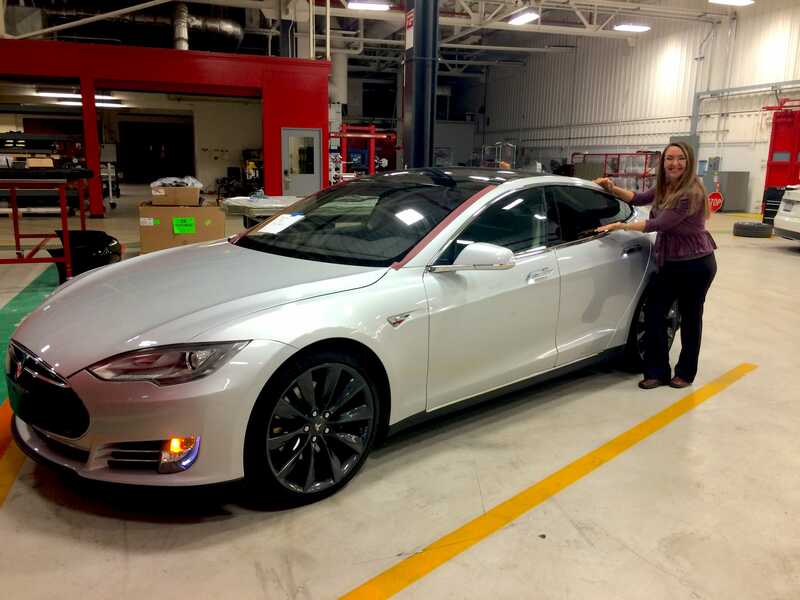 Here’s how a once celebrated Tesla engineer – who used to work on top-secret projects for Tesla’s top brass and whose initials were actually carved onto the battery of the Model S – says she wound up on the wrong side of the company. According to internal emails and testimony from the arbitration, Balan’s team had every intention of taking its issues straight to Tesla’s CEO, Elon Musk. Before she scheduled a meeting with Musk though, Balan reached out to one of the heads of her department, Chris Porritt, who was Tesla’s vice president of vehicle engineering. Porritt asked to meet with Balan and the team about their concerns. Balan said she suspected this bottleneck was really just a way for her bosses to hide mistakes. 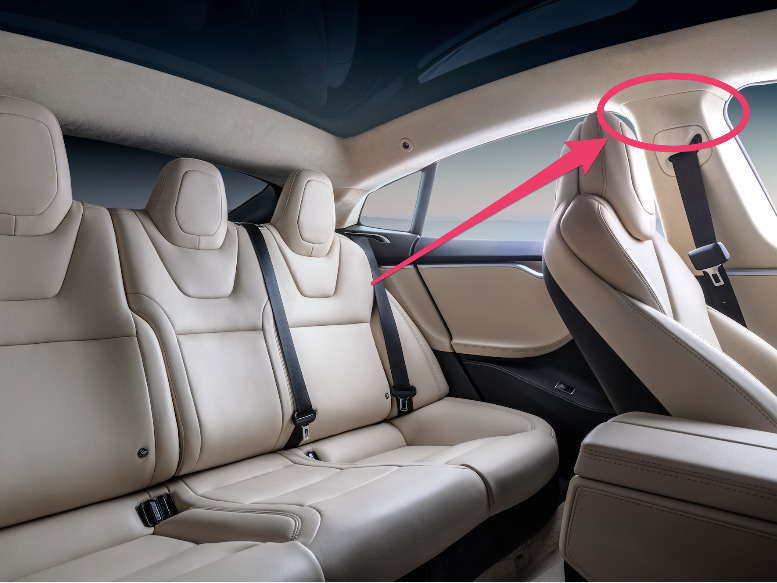 For instance, her concern about a so-called rat hole – a gap she had found in the design of the Model S’s roof headliner that separated the roof from the rest of the car – had been met with what Balan saw as clear resistance from her managers. Tesla, she claimed, ultimately stuffed a piece of Styrofoam in the gap of the $US100,000 car to fix it. And while the DIY-sounding solution didn’t present a safety issue, Balan said it created a rattling noise in some of the vehicles that customers later complained about. Business InsiderWhere the ‘rat hole’ would be, according to Balan. One engineer said he had wanted to fix a problem with the Model S’s driver’s seat floor mat since 2012. As designed, the floor mat could interfere with the brake, the engineer claimed. The engineer told the group that the still unfixed floor mats were a safety issue, even as Tesla had tens of thousands of cars on the road. Porritt agreed. Porritt also lamented that the company might have to scrap $US90,000 worth of defective parts. Porritt agreed with just about everything the team said during that long Saturday meeting. He listened when the employees complained about what they said was bullying by managers. He thanked them for meeting and said that what was happening on their team was certainly not “the Tesla way.” He also said the team could trust him, and he promised to help find a solution. “I feel like a sheep in a slaughterhouse,” one engineer wrote in a text to teammates. Another engineer who attended the meeting later testified that he felt pressured to deny his attendance at the meeting with Porritt and any complaints about the team’s superiors. He said he felt that if he didn’t, he might lose his job, and he claimed the rest of the team felt the same way. In emails dated April 2, 2014, her managers and a member of Tesla’s human-resources team discussed how to deal with her going forward, and, according to emails viewed by Business Insider, they did not see much of a future for her at Tesla. “If for any reason we are unable to substantiate the health issue, we will need to then set a different plan of action,” Tesla’s HR wrote in the email to Balan’s managers and Porritt. In the arbitration that followed Balan’s departure, Tesla claimed that Balan resigned in 2014 because she didn’t get along with her bosses and couldn’t get work done. Tesla’s lawyers argued that she complained often and was concerned with only her own designs. A former colleague familiar with the situation who felt Balan was a “creative,” capable engineer also said she was overly excitable and too intense. But Balan maintains a belief that her resignation was prompted by a campaign to “push” her out of Tesla after she and her team complained about quality issues with cars. The defects she was concerned about, like the “rat hole,” were simply not a safety risk to the arbitrator, and Tesla’s witnesses also denied that the defects were severe. Balan said she was offered to settle with Tesla “seven or eight times” and the money would have allowed her to stop working for at least a decade. But Tesla wanted Balan to sign away her right to speak about her experience, and she found that troubling, so she never agreed. “As soon as the Model S came out the door and Elon realised how cool he’d become, everything went down the drain,” she said. Like Balan, Tripp is trying to claim whistleblower status after he pointed out perceived issues with Tesla’s production process to Business Insider. He claims in his filing that the quality of Tesla’s battery manufacturing is low – to the point of being dangerous – and that he fears batteries could overheat and go into what’s known as thermal runaway. He also claims that Tesla’s production process is so wasteful that it’s not living up to its environmental mission.